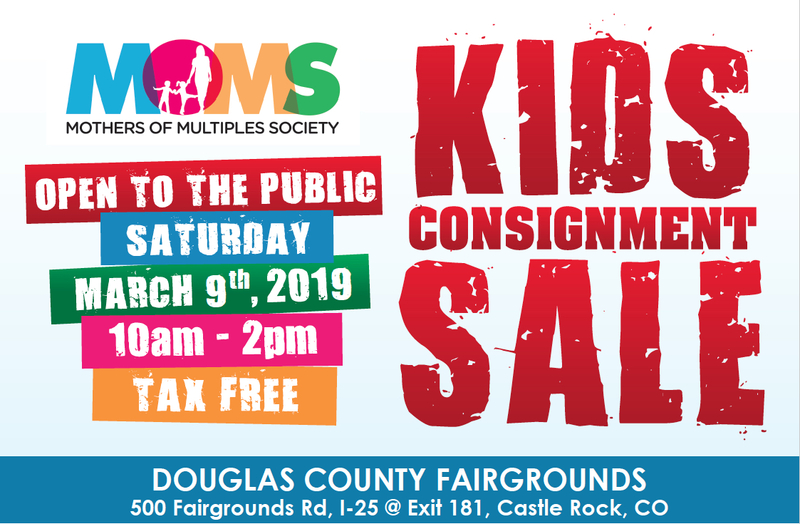 Colorado's largest TAX FREE Kids Consignment Sale by MOMS is located at the Douglas County Events Center, one mile east of 1-25 at exit 181 in Castle Rock. Shop the 30,000 square-foot space with over 40,000 items of gently-used baby's and children's clothing, baby gear and activities, toys - books - games, bedding, sports equipment, backpacks, furniture, nursing equipment, feeding, maternity wear, and more, priced at 50-90% off retail. NOTE: We do not allow competitive products/services at our sale. Sponsors are granted priority on a first come, first serve, first registered basis. If you sign up and another sponsor is already providing a competing product or service, your money will be refunded.